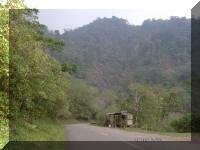 Chorro El Indio National Park is the sentinel and natural lung of the city of San Cristóbal. 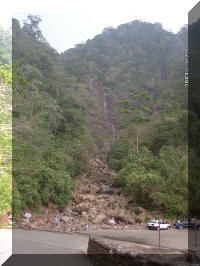 Among the sites of interest are: the Chorro El Indio waterfall, Chorro El Franklin (headwaters of the Zuñiga River). The páramos of: Guarín, El Pino, El Moradeño, El Moraleño, El Oso, Cerro La Maravilla, Cerro El Chimborazo. Declaration: Decree No.641 of December 7, 1989. Official Gazette No. 4,158 of January 25, 1990. Protected ecosystems and relevant natural attractions: Evergreen forests. 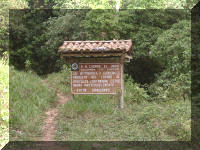 The El Indio Chorro National Park is located in the Sierra La Maravilla. An elongated mountain chain parallel to the course of the Torbes River, which acts as a watershed between the basins of the Torbes and Uribante rivers. Topographically the relief presents strong and medium slopes, registering the highest altitude in the Páramo de Guarín at 2600 masl, other important altitudes are represented by the El Moraleño, El Oso and El Pino páramos. 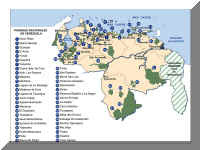 On the western slopes, the Cordera, Chivata, Portrera, Bermeja, Chucuri and Aza streams have their source, as well as small tributaries such as Chorro El Indio, which has a waterfall at the height of the San Cristóbal – Maracaibo highway that drops from 1,140 meters above sea level. The streams of this slope are mostly used for the supply of rural and urban aqueducts. On the eastern side of the Sierra la Maravilla the Zuñiga and Potosí rivers are born, as well as the Cachima, Verdosa and Lindera streams, among others, which are more plentiful than those originated in the western slope and whose waters are also derived for the supply of Táchira Regional Aqueduct, as well as numerous rural aqueducts. Submontane ombrófilo forest – ever green montanos. 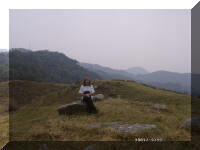 Its different altitudinal floors define four vegetation formations corresponding to premontane forests, humid, cloudy forest and subalpine paramo. The endemic species found there are common to all the Venezuelan Andes. There are the guamo Inga nobilis, the bucare Erythrina spp., The mijao Anacardium excelsum, the pine lasso Decussocarpus sp., The javelle Hurra crepitans, the cedar Cedrela odorata, the laurel Ficus maxima. Among the epiphytes highlights the beard of palo Tillandsia sp. and numerous orchids of the genus Epidendrum. The flora is represented by the following families that predominate in the landscape: bignoniaceae, euforbiáceas, lauráceas, mirtáceas, rubiáceas and melastoniotáceas. Among the mammals are the bear frontino Tremarctos ornatus, the báquiro Tayassu tajacu, the cunaguaro Leopardus pardalis, the matacán deer Mazama rufina, the cuchicuchi Potos flavus, the manilavao fox Procyon cancrivorus and an endemic species of this area, the pacarana Dinomys bramickii. Among the birds we can mention the guacharaca Ortalis ruficauda, ​​the paují stone crest Pauxi pauxi and reptiles such as the mapnare Bothrops venezuelensis, the coral Micrurus sp., The bejuca Oxybelis sp. Water resources: In the park there are numerous rivers and streams that drain into the watersheds of the Torbes and Uribante rivers. 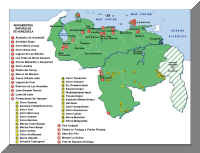 Chorro El Indio National Park is located in the center of Táchira State, east of the metropolitan area of ​​San Cristóbal, in the Sierra la Maravilla. 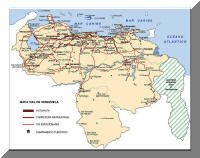 It covers the municipalities of San Cristóbal, Cárdenas, Andrés Bello and Sucre of the Táchira State. By road following the road from San Cristóbal to La Grita and from there to San José de Bolívar. 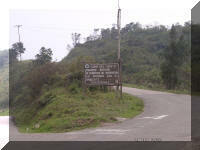 Also along the San Cristóbal-Macanillo-Potosí roads bordering the south and the eastern slope of the park, San Cristóbal-Cordero-El Zumbador trans-Andean highway. By air to the San Cristóbal airport. Camping at the designated sites. Park in the areas established for this purpose. Follow the suggestions of the park rangers. Respect nature. Light fires. Extract species of plants and animals. Leave or throw solid waste. Mark or cause damage to vegetation. Hunting. Carry firearms or any other that may cause damage to natural resources. Expenditure and consumption of alcoholic beverages. Introduce exotic species of wild animals. Make or fix commercial or political advertisements. Enter the park at times not established during visiting hours. Use of sound equipment that disturbs the tranquility of the park. Take photographs or films for commercial purposes without prior authorization. For camping and excursions, permission of Inparques is required.